International Conference on CLIL. 23-25 Feb 2012. The University of Navarra. 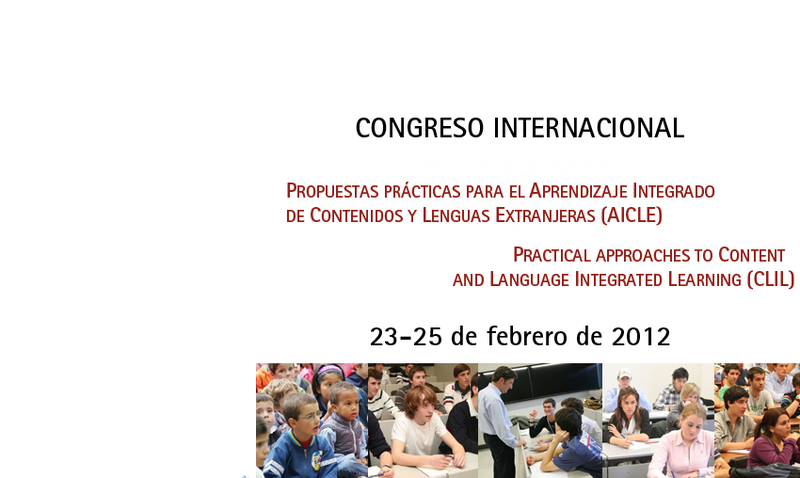 The University of Navarra is holding the international conference Practical approaches to Content and Language Integrated Learning (CLIL) from 23 to 25 February 2012. The conference will include workshops, round table discussions and lectures by Anna Halbach (University of Alcalá de Henares), Yolanda Ruiz de Zarobe (University of the Basque Country) and Ignacio Vázquez (University of Zaragoza). The main aim of this conference is to promote interdisciplinary discussion around CLIL practises at all levels in the educational system, ranging from childhood education to university. Abstracts and projects must be submitted by 30 November 2011. Although theoretical papers will be welcomed, special attention will be paid to contributions focused on practical experiences, projects or experiments carried out with groups of learners at different levels in the educational system. Previous Article Edmodo – an attractive social network for teachers and students.